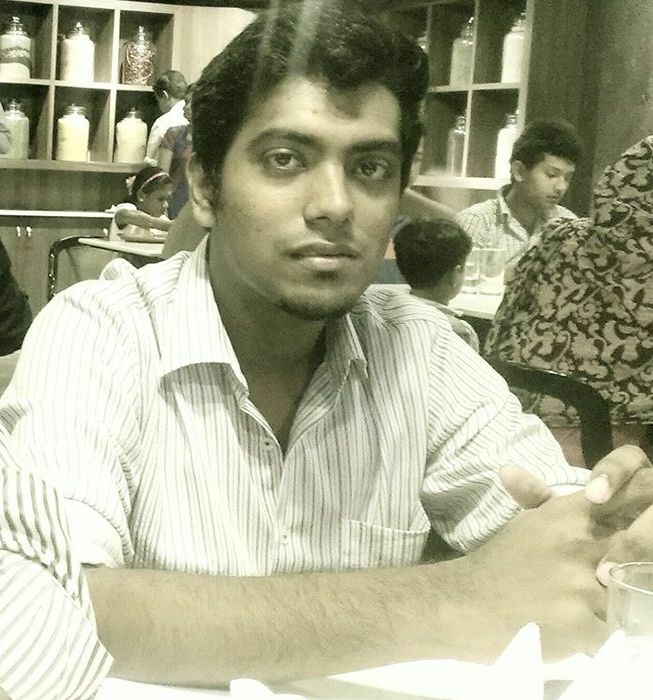 Geo Joseph Mukkadan belongs to the 2012 batch of CEC. After graduation, he’d a small stint in the corporate world before going to Arizona State University for his MS degree. He talks to us today on his GRE preparations, works and related stuff. Why did you decide to pursue an MS degree after a couple of years of industrial experience? Did you think of doing post graduation when you passed out from CEC? Yes I did think about it. But I did it just 2 years after my graduation because I was fed up with my work at TCS. The learning curve at TCS was not good. Plus the limited exposure and opportunities made me prepare for GRE. How do you find the CS courses in India and in the US different? What makes the latter of higher quality? The curriculum is very updated. The courses here are very industry oriented (eg. Big data, Cloud computing etc). You do assignments and projects where you get hands on in these technologies. Plagiarism is a serious offence here. (More over they are very honest in what they do.) So learning all these courses and doing all the learning without copying adds to your knowledge. Internship opportunities are another great opportunity to gain industry exposure. Exams are not the way we have our exams. Exams test our knowledge and not the memorizing skills. Could you please tell us about your GRE prep schedules and methodologies? How good was your score? I had a score of 313 which was not a great score. I think it is an average score. But I was happy with the score, as I didn’t have a great amount of preparation. I am happy with an admission at ASU. 1 month was all I had to prepare and together with the office work it was difficult to prepare. Those who can come up with a proper schedule can easily crack the exam and score even better. I used only the GRE official guide and the Barron’s 750 word book (don’t remember the name exactly). Please brief us on the application and admission procedure. Please share your whole experience as that would be beneficial to the future applicants. After writing the GRE and TOEFL exams you can apply to various universities with the scorecard of the respective exams. You also have the option to send the score report to some 3 or 4 universities immediately after the exam. Then the application forms for the universities have to be applied online along with the Statement of purpose, recommendation letters and transcripts of undergrad score. How did you brush up your CS topics before going to the University? What would you suggest such candidates do before they undergo masters in CS abroad? I didn’t do any such homework before the classes. If someone is not from CS background, it’s a good idea to brush up things. But it’s not necessary. You will get into the groove easily once the classes commence. How has CEC been helpful in current stance? CEC is helpful in that, I had a lot of college memories. 😀 The atmosphere here is totally different and you will not get such an experience. Here we will be more serious about our studies. How did life in the industry help you excel as an engineer? Nothing much (in my case). My project at TCS had nothing much to boast of. But the work experience always counts. It will give a slight advantage over candidates without work-ex. What are your areas of academic/research interest? I more focused on the application domain. I am doing a non-thesis course. I am industry oriented. How’s life at Phoenix and the institute campus? 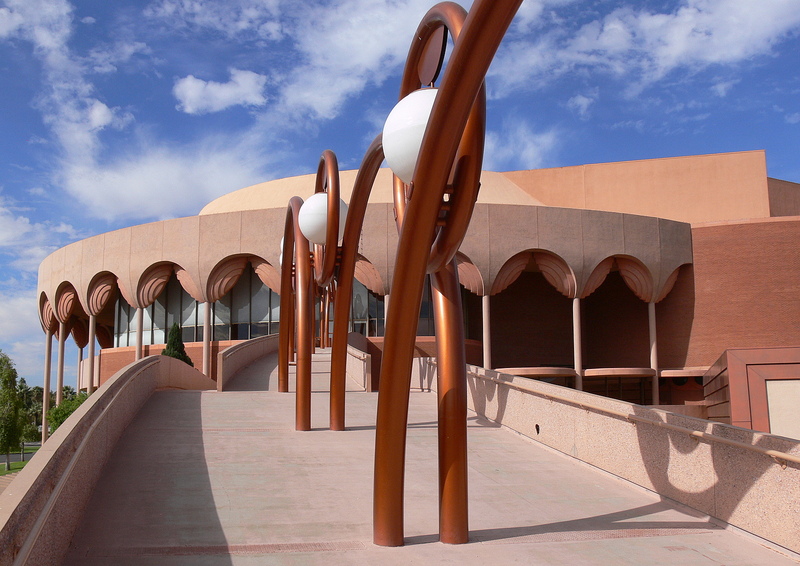 FLW Gammage Auditorium at ASU. The climate here in Phoenix is pretty hot like what we have in India. Winters are comfortable. ASU has got a good campus. 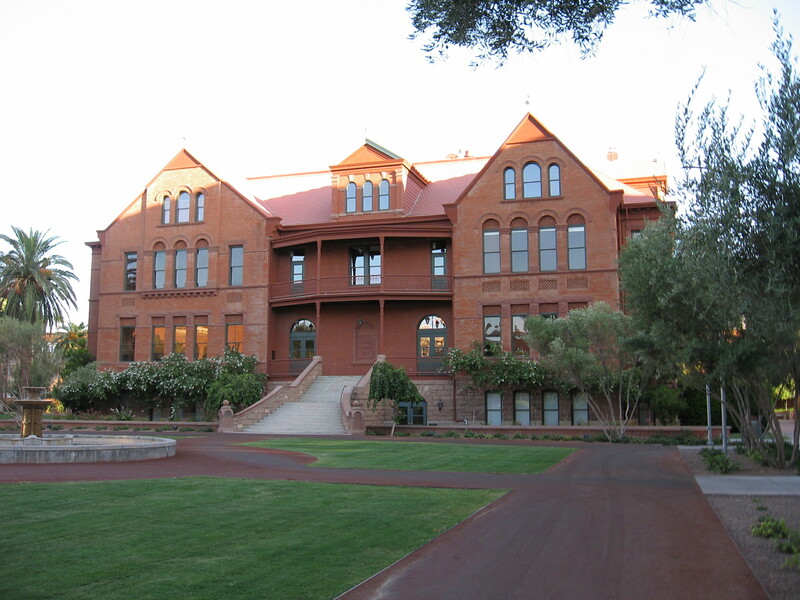 ASU is one of the largest public universities in US. How much is the expected expense for the entire course? How do you fund it? If I am doing the course in 4 semesters, the expense for tuitions alone may shoot above 20 lakh. Planning to do internships so that I can cover 2 semester tuitions. Anything else you would like to tell young CECians, who aspire to do an MS in US? It’s a good experience overall. Away from home. You are responsible for whatever you do. You will learn whatever you need to learn as you are doing all yourself (Cooking as well). Don’t forget that when you are here, you are representing our nation. Don’t make a bad impression. Be good to everyone. Enjoy!! This entry was posted in 2012 Batch, Achievements of CECians/CEC, Alumni or ARC (Alumni Relations Cell), College of Engineering Chengannur, Higher Studies and tagged Arizona, Arizona State University MS, CEC, CEC Blog, Chengannur, Engineering, Geo Joseph, Geo Joseph Arizona, Geo Joseph Mukkadan, GRE, Interview, MS, US. Bookmark the permalink.